Herman Preusse was born in 1847, and received his architectural training in Germany at the College of Architecture at Holzminden. His stepfather was an architect, and he began his career working for him. Preusse immigrated to New York in 1870, then to Spokane in 1882. 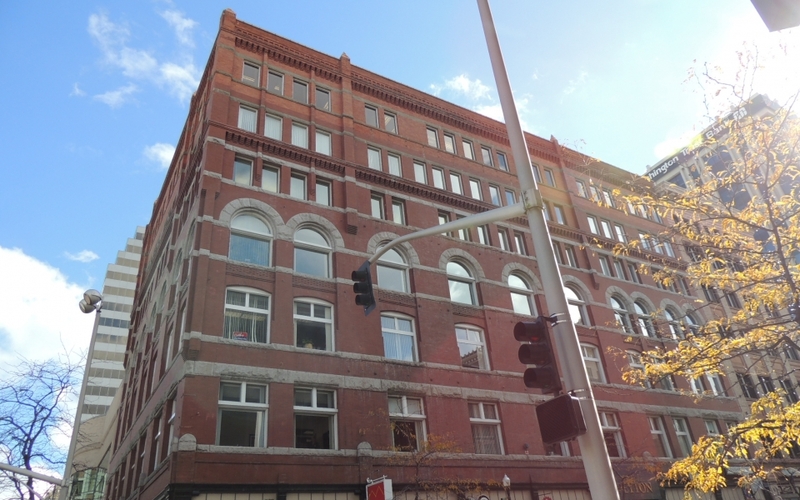 When the Northern Pacific Railroad successfully constructed a line that connected Spokane with Chicago and beyond in 1883, Spokane’s officials pursued an architect to assist with the design of new downtown commercial buildings that would boost the image of Spokane as a progressive and rising city in the west. They hired Herman Preusse. Preusse worked to accomplish this goal for the city during his early years. However, in 1889, a majority of his work was destroyed by the Spokane Great Fire, which left a majority of the downtown area in rubble. 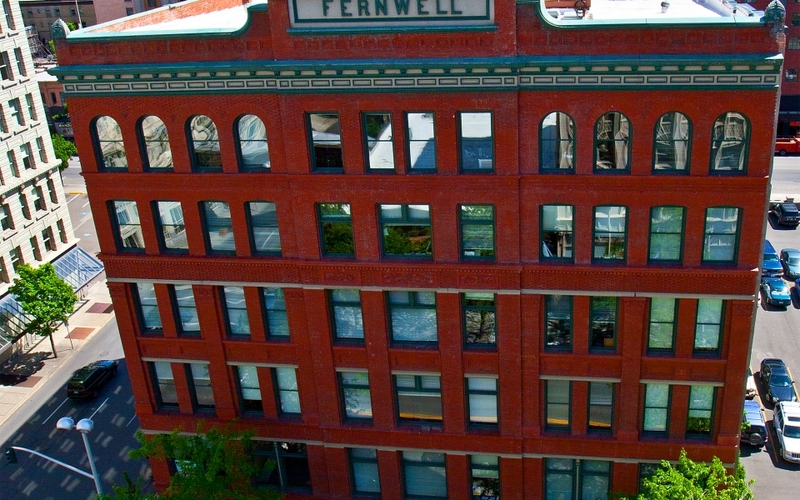 Some of his early designs after the fire include the Fernwell Building and the Peyton Building. In 1898, Preusse entered a partnership with Julius Zittel. It is from this era of his career that his architectural examples exist to the present day. 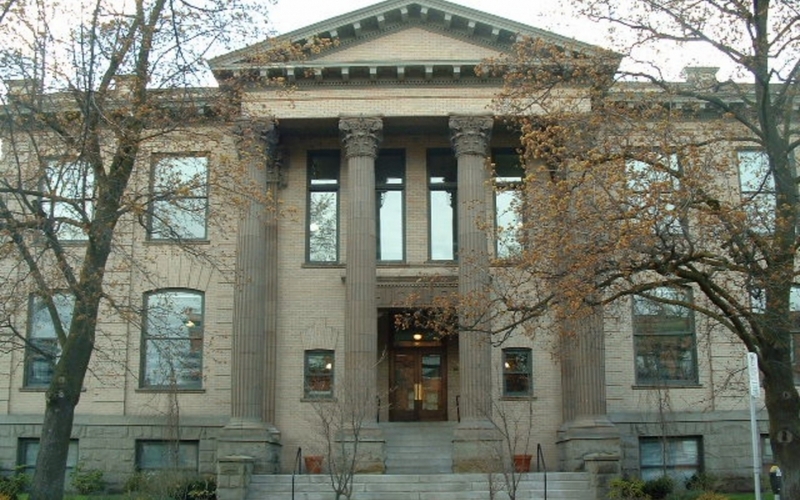 Together they designed the Carnegie Library Building, the first true library structure for the City of Spokane. The library stands today as one of the city’s finest examples of Neo-Classical architecture. Preusse, along side Zittel, designed numerous structures for Gonzaga’s early campus, including the main administration building and St. Aloysius Catholic Church, which is largely of the Romanesque style. He also holds the distinction of designing the State of Washington’s first Jewish synagogue, which was completed just days before Seattle opened its first synagogue. Preusse’s other notable work, both in collaboration with Zittel and his own individual work, included an expansion of the Bump Block, the Auditorium Block, Ziegler Building, Victoria Hotel, and the Washington State University’s School of Science building in Pullman, WA. Preusse and Zittel worked together for a majority of their professional careers, with their partnership coming to an end in 1910. 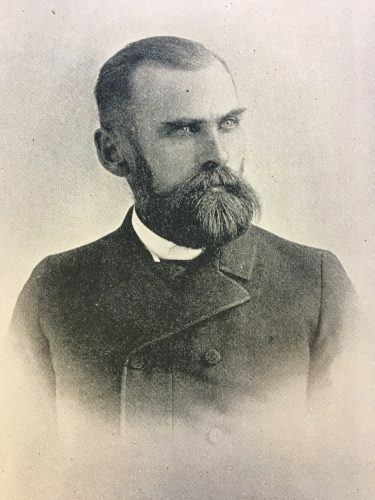 Herman Preusse was one of the earliest practicing architects in Spokane and has the distinction of holding more contracts for building in the years directly after the fire of 1889 than any other architect in the city. His work was a base that architects would build off of for decades after his time. Preusse died in 1926, and is buried at Fairmount Memorial Park in Spokane. 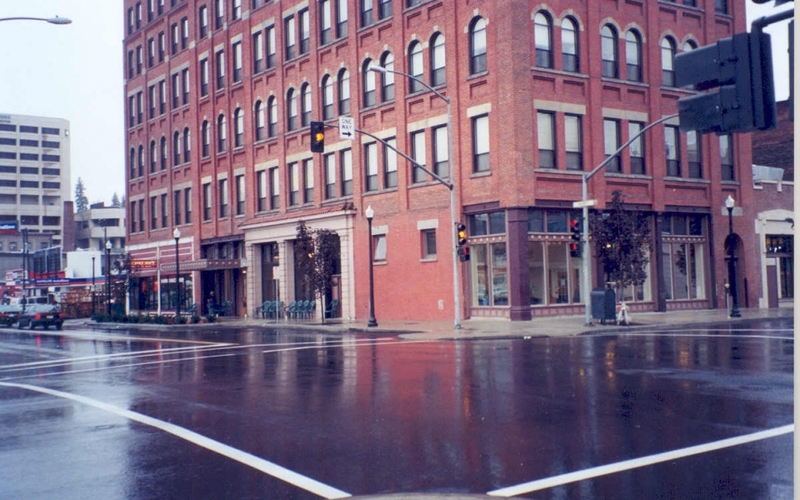 Durham, N. W. History of the City of Spokane and Spokane County Washington From Its Earliest Settlement to Present Time, Volume 2. Chicago: The S. J. Clarke Publishing Company, 1912. 170.